Muslim hardliners in Indonesia have come under fire from rights activists for breaking up a recent book launch held by members of an Ahmadiyya group. The incident sparked calls for regulations limiting the activities of Ahmadis to be rescinded. 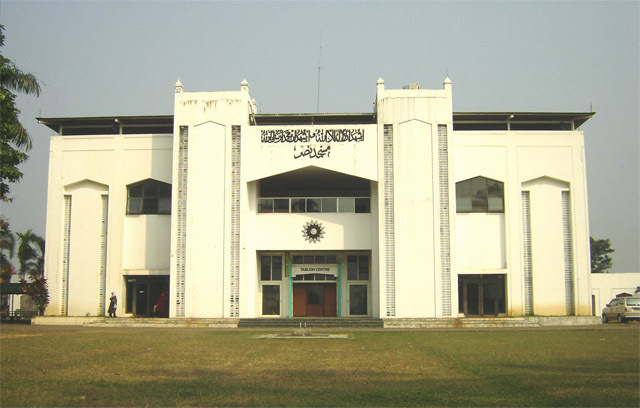 Organizers of the book launch at an Ahmadiyya mosque in Bandung in West Java province were forced to call the event off after protesters from dozens of hard-line groups, including the notorious Islamic Defenders Front, gathered outside and threatened to storm the venue despite a heavy police presence. The book in question featured works of the sect’s founder Mirza Ghulam Ahmad. The protesters claimed the event was in defiance of a 2008 joint ministerial decree banning the Ahmadiyya from disseminating their beliefs and teachings as well as a 2011 regulation from the governor restricting Ahmadi activities. “We held the rally to enforce the joint ministerial decree and the regulation which both clearly prohibit the Ahmadiyya community’s activities in Indonesia,” one protester, Muhammad Ro’in, told BBC Indonesia. The Ahmadiyya community, which believes the Prophet Mohammed was not the last prophet, has long been subjected to persecution and discrimination from mainstream Muslims. This has included restricting the sect’s ability to worship and turning a blind eye to acts of violence, according to rights activists, who said such persecution runs contrary to Indonesia’s secular constitution. The 2008 joint ministerial decree and subsequent local edicts have helped spur such persecution they said. Halili, director of research at the Jakarta-based Setara Institute for Democracy and Peace, said intolerant groups would continue to make use of the regulations to justify their acts. “Intolerant actions like this will re-occur if the regulations are not revoked,”Halili told ucanews.com. Central and local governments have a duty to serve as protectors of citizens’ rights particularly those of vulnerable minority groups, he said. Petrus Selestinus, coordinator of the Indonesian Democratic Defenders Team, said authorities should act to dispel the idea held by many hard-line groups that they are more powerful than the state. “What happened in Bandung certainly threatens minority groups’ safety,” he said. A moderate Muslim scholar Ahmad Suaedy also strongly condemned the protest. “They might not agree with Ahmadi activities. But they can’t justify taking to the streets and taking it upon themselves to stop this book launch. In this case, the police should have taken decisive action,” he said.